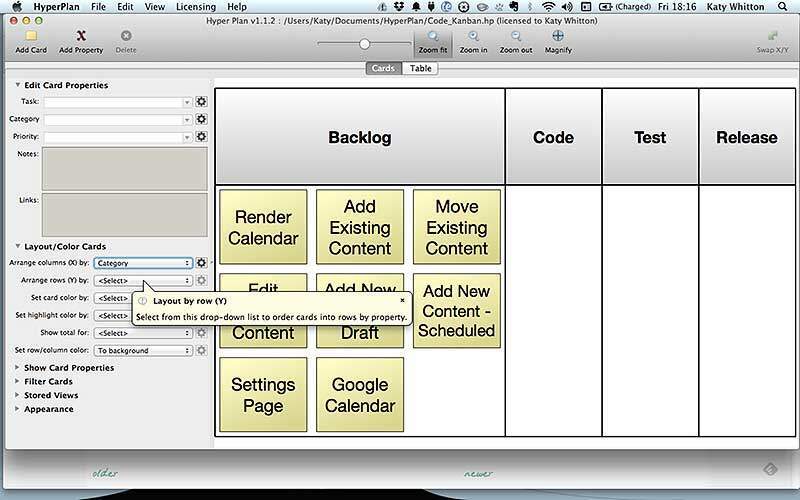 You may have seen a reference to HyperPlan in my “How To: Use A Personal Kanban Board” post the other day, but as well as its uses for Kanban, it’s also a pretty flexible project and to-do planning tool. 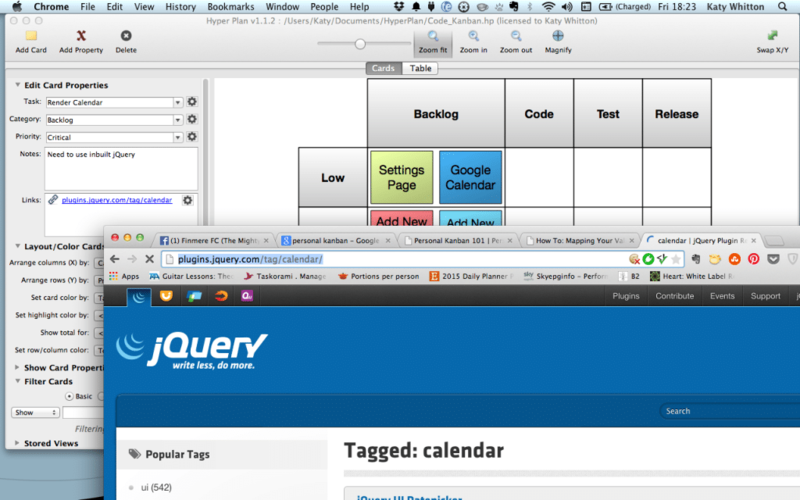 In the images shown in this review, I’m using the example of a small WordPress Plugin project I’m working on to give you an idea of how to organise a small project with HyperPlan. HyperPlan describes itself as “As simple as sticking notes to a wall, but much more flexible” and that’s essentially what it is, like using post-its to organise items that need to be done. Your plan is broken down into “Cards” (these are your post-it equivalents). 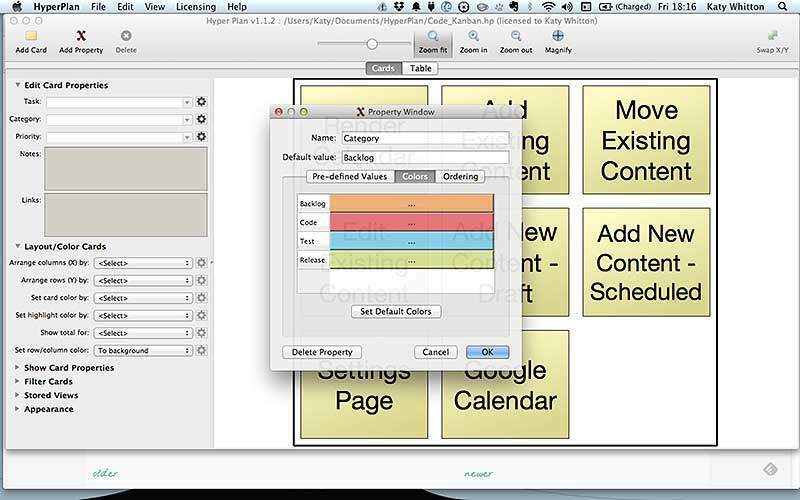 Each card has at least one “Property” attached to it, which provides information or a context for the to-do. 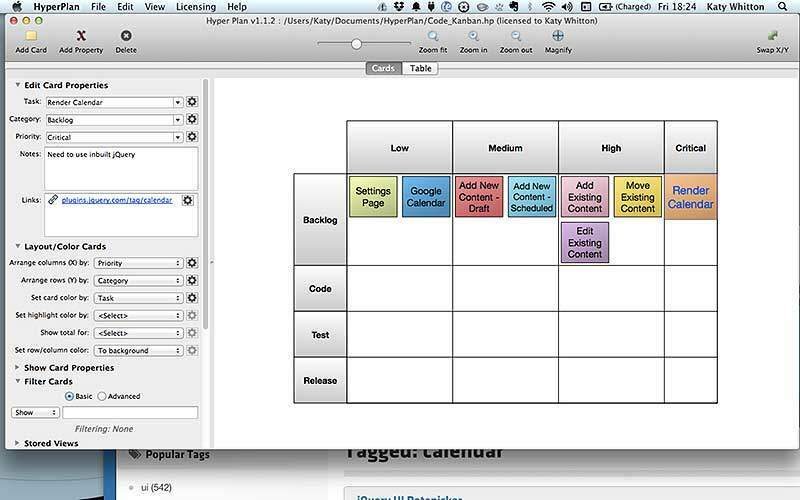 HyperPlan comes with a few pre-built plans such as a conference schedule, event plan, project plan, sales pipeline, wedding plan and weekly plan so there are plenty of plans to get you started. When you start a new HyperPlan, you’re prompted to select your properties from a pre-populated list but more can be added later. 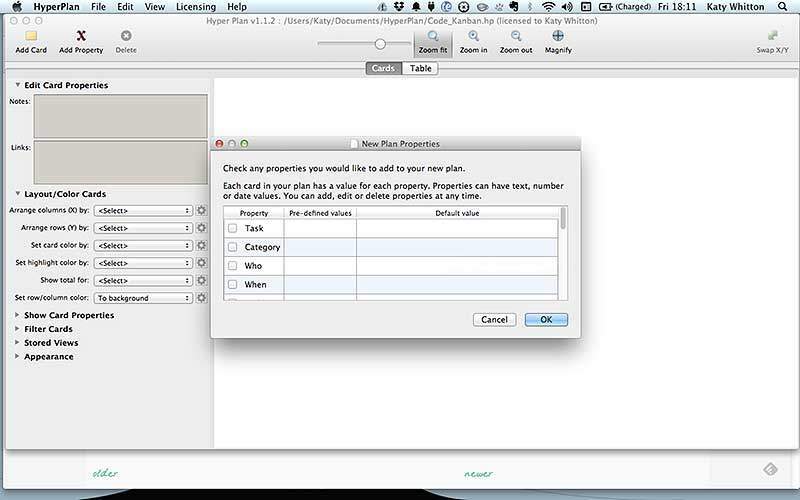 You can edit a property so that you have a list of pre-defined values to choose from. This makes adding a property to a new card really quick and stops spelling mistakes creeping in. When starting a new Plan, I’d recommend taking the time to go through each of your properties and add in their values so they’re all ready and waiting when you start adding your cards. 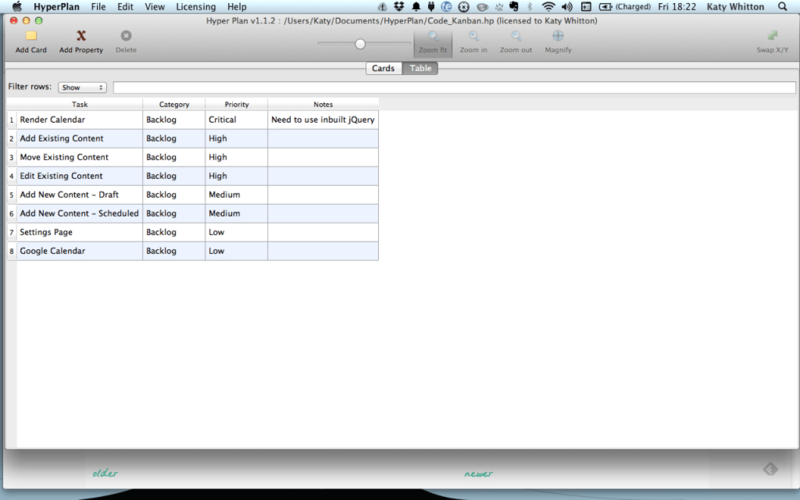 Also, this step will help you define what criteria each card needs to have – although this can be changed at any time. Note that at the moment there isn’t a way to order the properties, the first one you add becomes the Card’s main text. 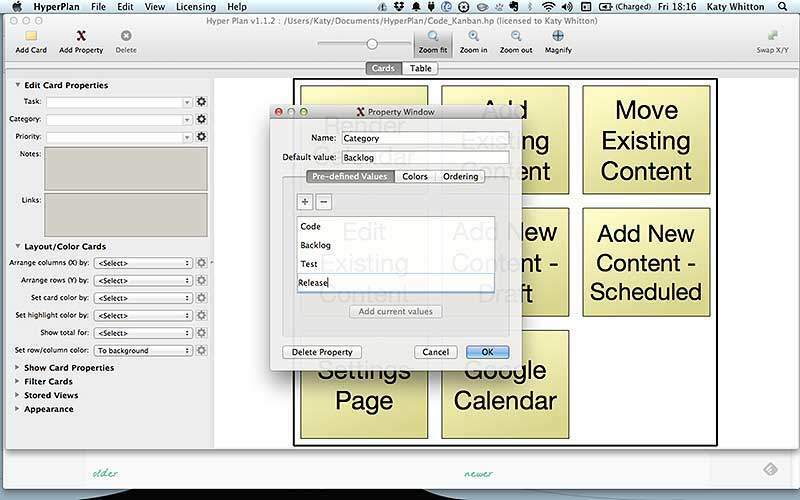 If you want another property’s text displaying as the main Card text you’ll need to go into the “Show Card Properties” menu in the left-hand pane and set the displayed property text to “hide” and the text you’d like displaying to “Show as Text”. One handy feature is being able to colour code properties so that it’s easy to see at-a-glance what task has what property. You can arrange the cards using a property and sort them into columns and rows. This is really handy for viewing your cards in a easy to understand, ordered way. You can also colour cards so that they stand out from each other, items assigned to the same property can be seen quickly thanks to the colouring. 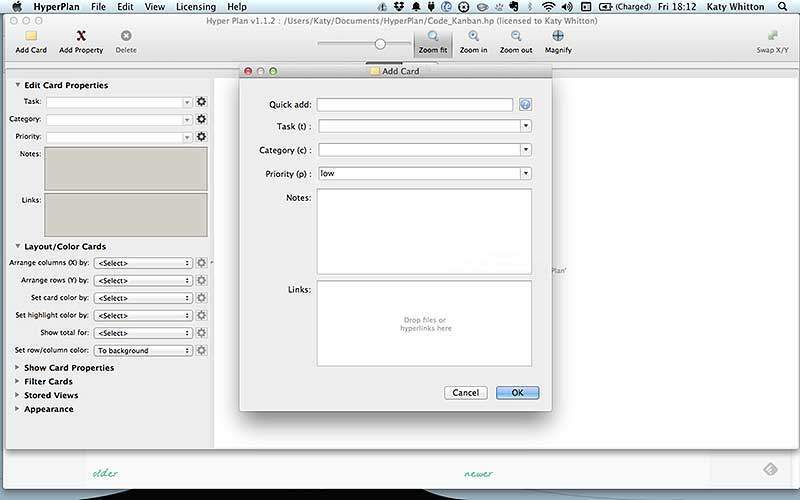 You are able to filter cards based on text placed in the Property name, or the card notes field. 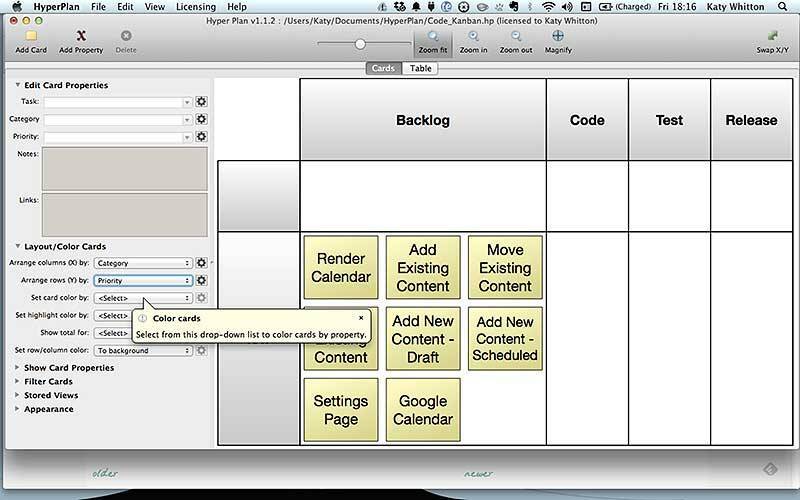 This allows you to see specific tasks quickly, but in their task position as per your layout. There is also a table view that allows you to view a simple list of cards, their properties and any notes/links associated with them. This is a very basic view but it’s a useful overview so you can see if any information is missing, or if something is assigned to the wrong property. 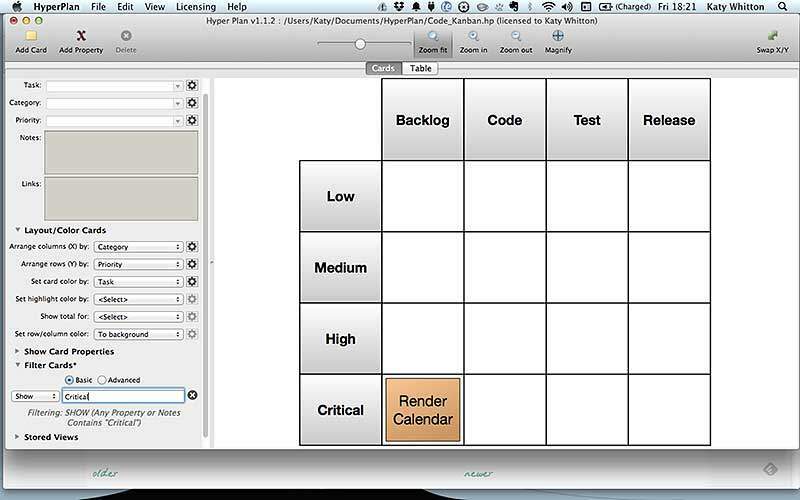 Who would find HyperPlan Useful? 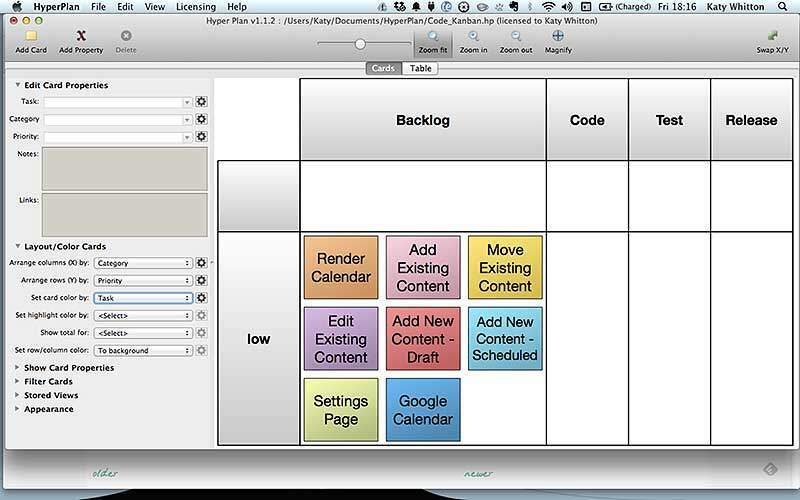 If you’re running small projects, planning your wedding, need to keep track of time sensitive tasks, running a small team or want to set up a Personal Kanban then I’d think about looking into HyperPlan. You can download a Seven Day Trial of HyperPlan with no limitations, or buy the Full Version of HyperPlan for $40 (£25). New features are being added all the time and the programmer is always open to suggestions. 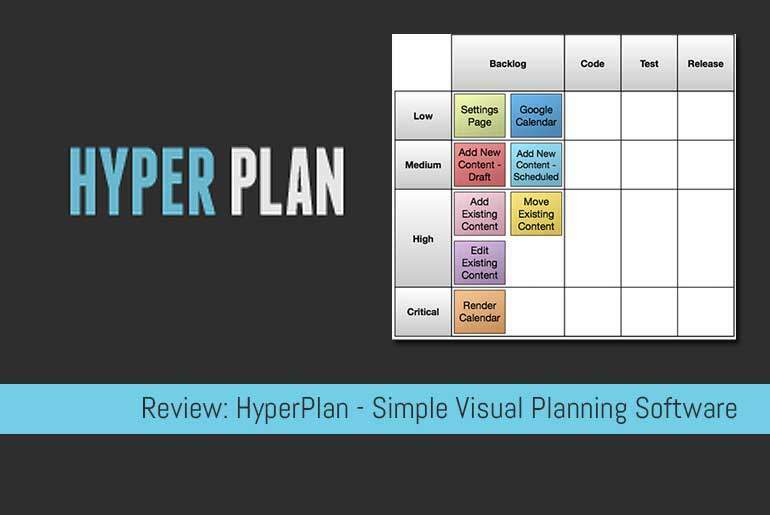 So, give HyperPlan a go and if you like it, let us know in the comments.